These days, most people would probably agree that eating less meat is a good thing: for the environment, for our bodies and for the churned out annually through our factory farming industry. According to the United Nation’s Food and Agriculture Organization, . 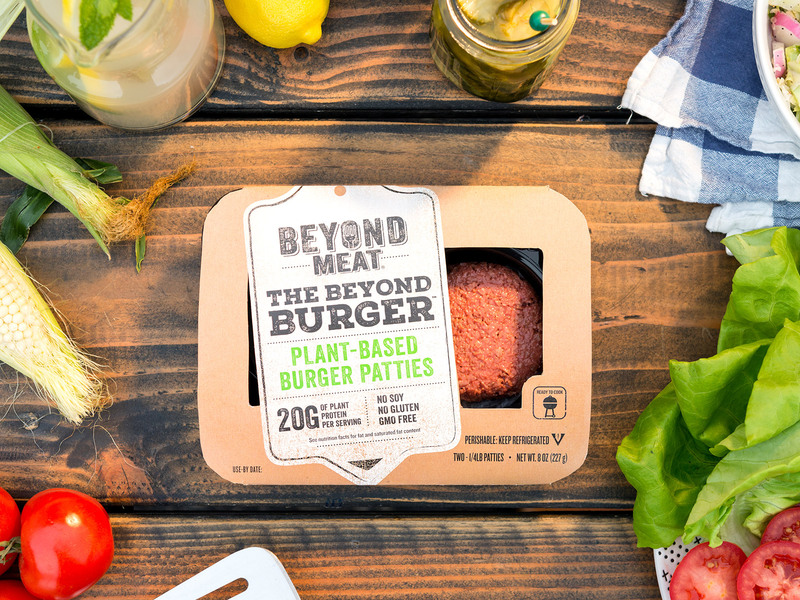 For all these reasons, then, plant-based companies like Impossible Foods and Beyond Meat have become appealing to more than just vegans. Impossible Foods, which made headlines in 2016 for its bleeding burger, has been plugged heavily by superstar chefs like David Chang—you can find it on the menu at his NYC restaurant Momofuku Nishi. As of August 2017, the Silicon Valley-based company had amassed more than $300 million in funding, . It’s backed by Bill Gates. Yet meat apologists and followers of the slow-food movement take issue with the processed nature of these products. “Why eat a super processed burger instead of a piece of grass-fed steak,” the criticism goes. Well, for one, most Americans still reach for industrially farmed beef for their weekday suppers, . Grass-fed beef is still prohibitively expensive for many. (To be fair, the price tag of Beyond Meat’s plant-based burger is also relatively high: 8 oz are priced at $5.99 in a city like Los Angeles, for example. However, the hope is that, with scale, prices will eventually come down.) Price aside, grass-fed and pasture-raised beef haven’t dispensed with the environmental and ethical concerns of the meat industry. So, it’s worth a look at making plant-based alternatives work, even just as one-off substitutes for omnivores, à la The Omnivores Dilemma. That said, the concerns raised around some of these plant-based products are honest inquiries. Impossible Burger, for example, has more than double the saturated fat of an 85% lean beef burger: 3.6 grams per ounce (derived from coconut oil) versus 1.7. However, both it and category competitor Beyond Burger have 0% cholesterol. ( for the side-by-side stats.) Impossible Burger also has over seven times the amount of sodium in its 85/15 beef counterpart: 145 mg vs. 20.5 mg in beef. Beyond Meat’s Beyond Burger rings in at 112.5 mg of sodium per ounce. In its defense, Impossible representatives cite that the burger—only available in restaurants right now, not retail—is sent to chefs ready to serve, no further seasonings needed. Compare that to a store-bought beef patty, which most people salt before eating. “We plan to launch the Impossible Burger in retail outlets (i.e. grocery stores), and we are actively working to lower the amount of sodium in our burger,” writes Rachel Konrad in an email, Chief Communications Officer at Impossible Foods. mkgallery reached out to Beyond Burger as well, but did not hear back. And then there’s the whole heme issue: It’s been getting a lot of attention recently, . (Category rival Beyond Burger does not include heme or gluten, which are the product’s two chief differentiators.) , the F.D.A stated in 2015 that it “believes the arguments presented, individually and collectively, do not establish the safety of soy leghemoglobin for consumption, nor do they point to a general recognition of safety.” That said, Impossible Foods is still legally allowed to sell its burger, which has not been deemed unsafe. Heme is a protein that occurs all the time in nature, both in animals and in plants. It’s kind of like a molecular basket that carries iron, Dr. Kent Kirshenbaum explains. , and was recently on a panel discussing veggie burgers at an annual industry conference hosted by . In the interest of full disclosure, he says he’s worked previously with Beyond Meat and retains a small interest in the company. 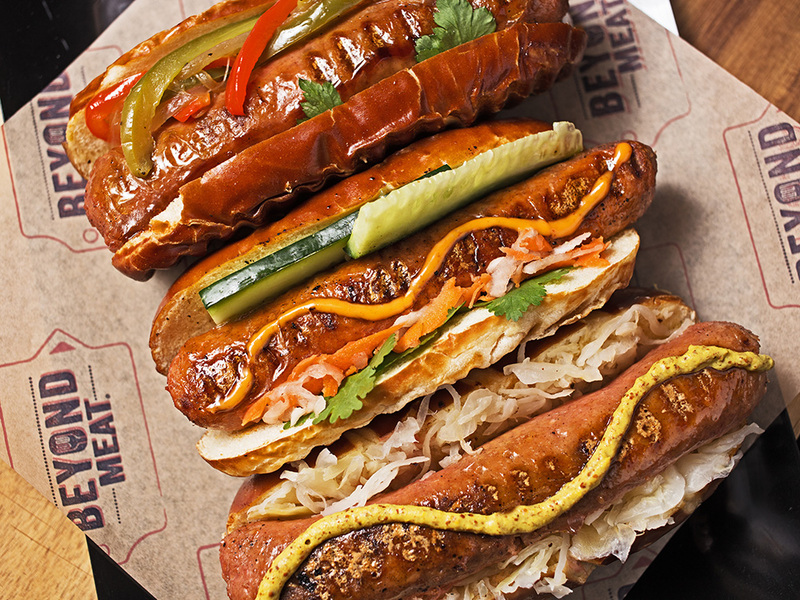 Excessive heme consumption has been linked to high levels of colon and prostate cancer, Jane Brody wrote . For Kirshenbaum, “The critical question becomes what is ‘excessive,’ and does the amount in the Impossible Burger qualify as excessive. I don't have enough knowledge to have an opinion on this,” he says. In a prior interview with mkgallery, Beyond Meat CEO Ethan Brown also addressed the processed nature of his company’s burger. Yes, it’s processed, he acknowledges—but it’s still way, way better than industrial meat.